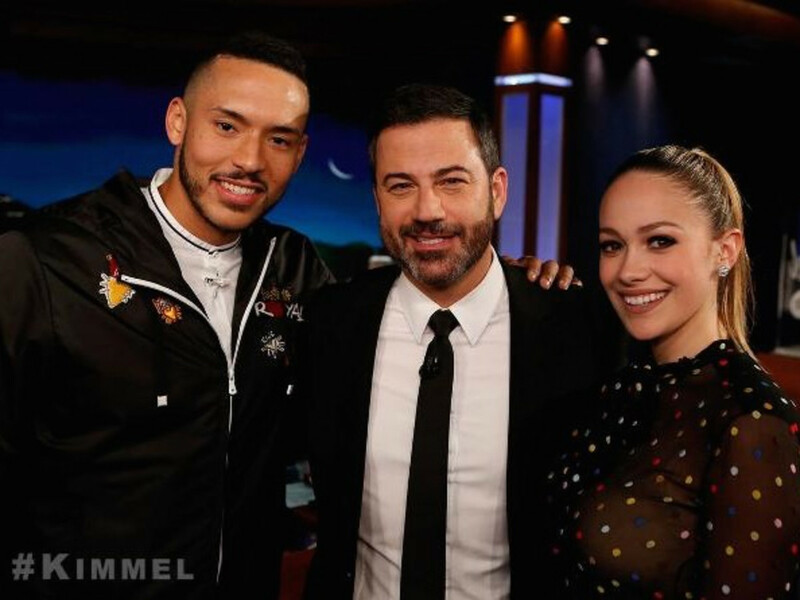 Carlos Correa and fiancée kid around with Kimmel: "He turned the World Series into The Bachelor"
With the World Series victory still fresh in a lot of people's minds, Carlos Correa stopped by Jimmy Kimmel's late night show in Los Angeles Monday night. The Astros shortstop admitted that he "blacked out" when he hit a home run in Game 5 and couldn't remember anything about it. But he did recall his engagement to Daniella Rodriguez, saying that he planned to propose her after Game 6, assuming the Astros won. But the Dodgers took that game, so he changed his engagement plans to Game 7. "I was thinking, I don't have a Plan B, so we'd better win," Correa said. "He turned the World Series into The Bachelor," Kimmel joked, as Rodriguez sat in the audience. Correa looked sharp in a designer jacket — we couldn't make out the label, but he looked just as fashion-forward as teammate Jose Altuve did last week during an appearance on The Tonight Show with Jimmy Fallon.